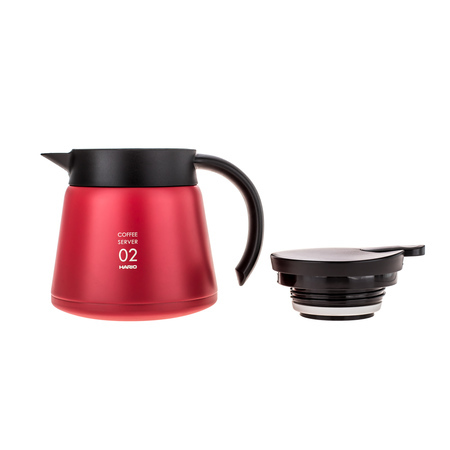 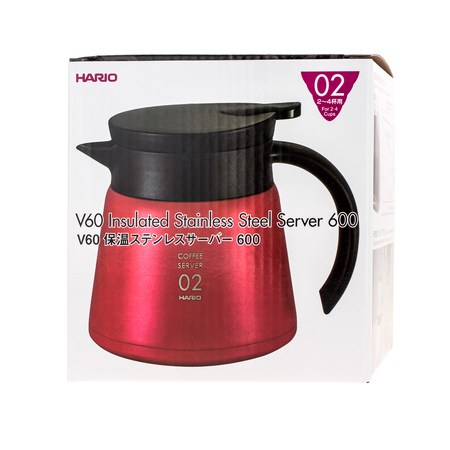 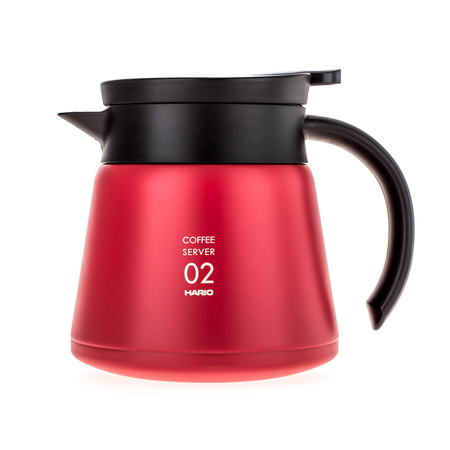 Hario V60-02 Insulated Stainless Steel Server - well-designed, high-quality, double-walled and vacuum sealed. 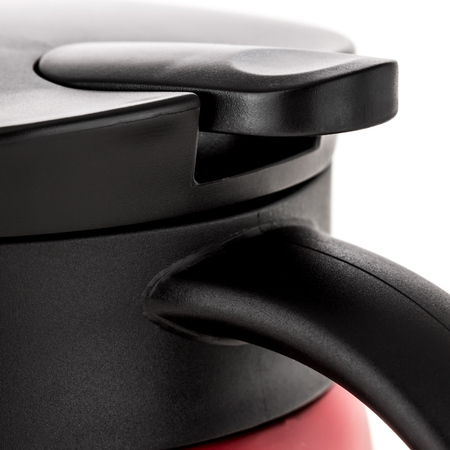 Made of steel and plastic. 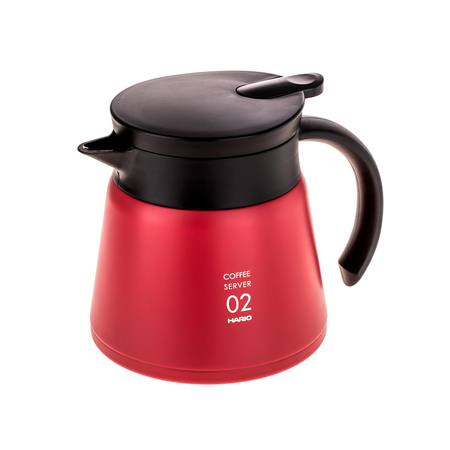 Double walls will allow you to enjoy your hot coffee longer! 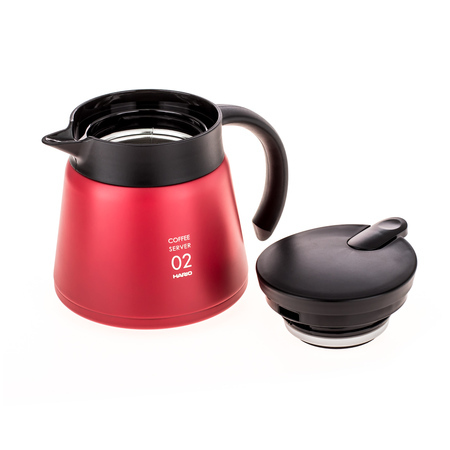 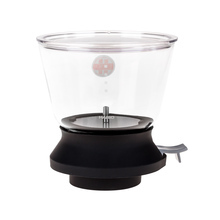 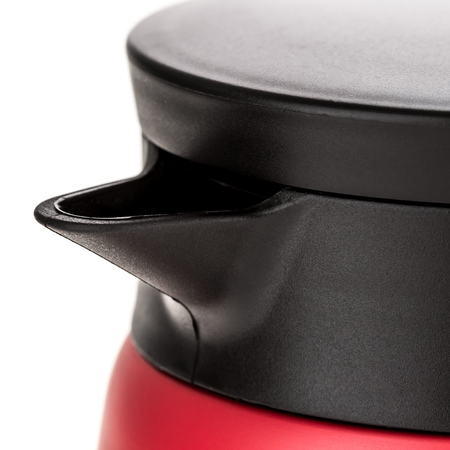 Vacuum sealing and opening the spout with a lever prevent any spills. 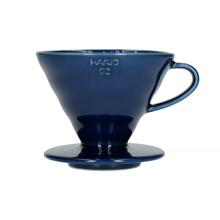 Designed for Hario V60 Drippers. 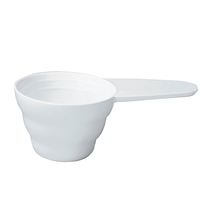 The server is neither microwave, nor dishwasher safe.